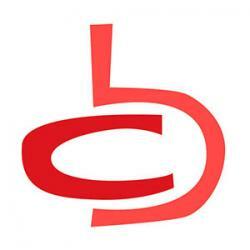 By Cartoon Brew Connect | 10/15/2015 8:33 pm | Be the First to Comment! Want to break into the world of animation? Or perhaps you’re already a confident animator, and want a way to make your working process a little more straightforward? Either way, Anime Studio Pro is for you. The beauty of Anime Studio is the way it combines accessibility with versatility. The range of features available in the program ensure that it offers endless possibilities for professional animators. At the same time, however, it is an easy program to learn: beginners, hobbyists and animation students will have no trouble jumping right in and creating their own animation. Anime Studio’s vector-based drawing system is straightforward and simple to work with. Users can draw, paint and fill artwork directly into the program, while an array of brush effects and color tools are available for more adventurous artists. It is also possible to import art assets from elsewhere, so that drawings made by hand or in illustration software can be used in Anime Studio. Whichever method you choose, your artwork will soon be in place and it will be time to start animating! Anime Studio offers the frame-by-frame capabilities of other animation software, but it also lets you combine those capabilities with its powerful bone rigging system, so you can achieve great results easier and faster. As their name suggests, bones will add a skeleton-like structure to your character that can save a lot of time on animation: if you move the bone attached to your character’s shoulder, for example, then the bones connecting the arm and hand will also move. Anime Studio’s bones can be used to turn your character into a kind of digital puppet, allowing complex movements to be animated in a matter of seconds. As Anime Studio comes with pre-built content, a first-timer will be able to experiment with ready-made characters. Experienced artists will find that the bone system can be put to an endless range of uses, such as adding distortion effects to artwork. Once the characters and other elements are in place, the program’s user-friendly timeline will make it easy to stage and composite an animated film. You will be able to work with keyframes, multiple layers, sounds and other features – everything you need to create a piece of animation. Anime Studio is capable of exporting your creations to all of the widely-used web and video formats, making it easy to distribute your animation to YouTube and Facebook, and show off your hard work! While Anime Studio can create impressive animation on its own, it can also work as one element of a larger animation process. Its quick and easy interface makes it just the thing for creating an animatic or test footage, while the bones system is just perfect for achieving specific effects. Amongst the many animated productions that have made use of Anime Studio Pro is Cartoon Saloon’s Oscar-nominated Song of the Sea, which achieved some of its water effects using the software. If you wish to buy Anime Studio Pro or simply want to learn more about this great piece of software, visit the Anime Studio site at Smith Micro. The program’s accessibility makes it an excellent choice for students, and Smith Micro Graphics offers academic pricing for schools that teach Anime Studio in their classrooms.